Though the Labor Day weekend has recently passed, the fun of summer is not over. 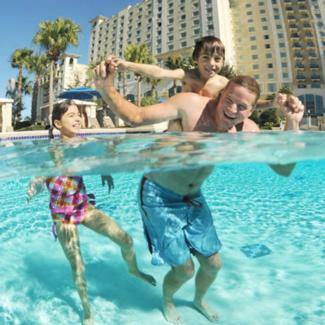 Especially if you visit a location like Kissimmee, Florida with your family. The heat of summer makes way for temperate Fall and Winter seasons to explore this activity filled destination. Recently the Experience Kissimmee representatives completed a tour through all the major ballparks who enjoy major league spring training in Kissimmee. They visited cities and stadiums housing Houston’s Astros, Washington D.C.’s Nationals, Bronx’s Yankees, Chicago’s Cubs and White Soxs, and Atlanta’s Braves. Their message? Come play in Kissimmee soon! A trip to Kissimmee would be awesome! I wish we could get to Kissimmee soon!!! I spent a week in Kissimmee last fall. It’s definitely a great time of the year to visit! Been hearing a lot of buzz about Kissimmee but I’ve never been. I always thought that was such an interesting name. I’d love to visit Kissimmee! I would love to visit! This dreary fall weather has me wanting to bask in the sunshine and I know I would get some rays in Kissimmee.